We are off to a busy 2018 here in the studio- several new editions are coming together as we gear up for the busy summer months here on the coast of Maine. I am excited about much of this new work- I’ve been trying some new techniques in my plate construction, and am really pleased with the results. It feels good to take the time to experiment and stretch a bit, and I am looking forward to sharing the results with all of you soon. There’s been some changes to my usual schedule of shows and festivals for 2018, so please check out the Purchasing page for where you can find my work this year. I have a solo show opening in September at Archipelago Fine Arts in Rockport, ME which will be a great place to check out my new editions. Opening reception details to come soon. As always, if you are visiting the midcoast, you are welcome to come by the studio by appointment. Feel free to give me a call (207.596.3449) or email (kwb greysealpress com ) with questions about my work, classes, or dropping by. 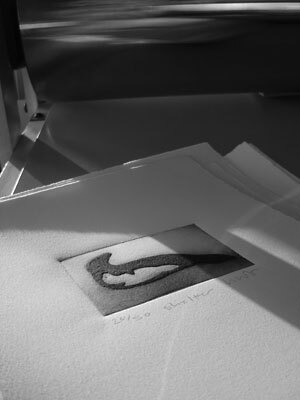 Keep in touch, and check out what’s new in the studio at www.facebook.com/greysealpress. Hope to cross paths with you sometime soon.